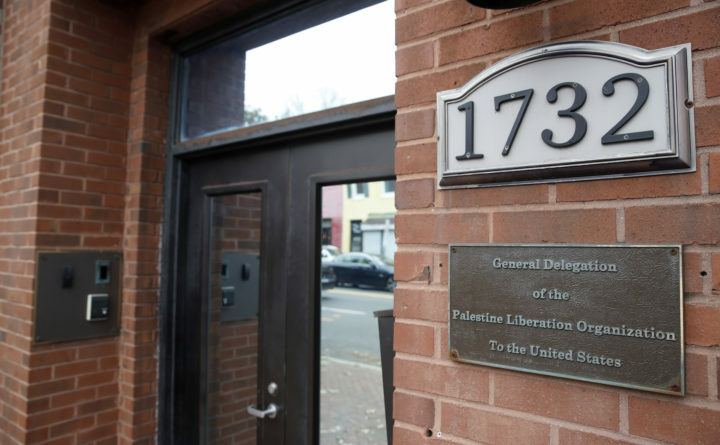 This Nov. 18, 2017 file photo shows the Washington office of the Palestine Liberation Organization. The U.S. has notified the Palestinians it's closing their mission in Washington, a senior official said Monday, Sept. 10, 2018, the latest in a series of American blows to the Palestinians. A provision in a U.S. law says the PLO mission must close if the Palestinians try to get the International Criminal Court to prosecute Israelis for crimes against Palestinians.